Dip. 6" flower, 30" scape, M, Sev. 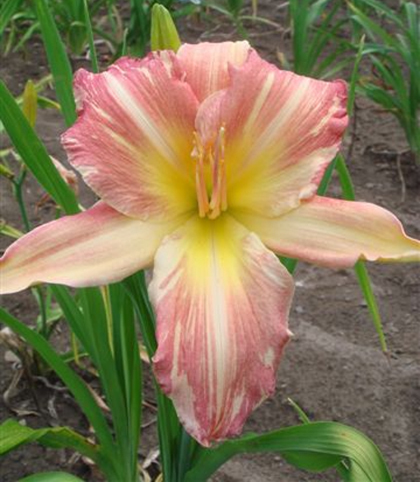 Striped and broken colour patterned daylilies are becoming very popular as they are dramatically different and unique. 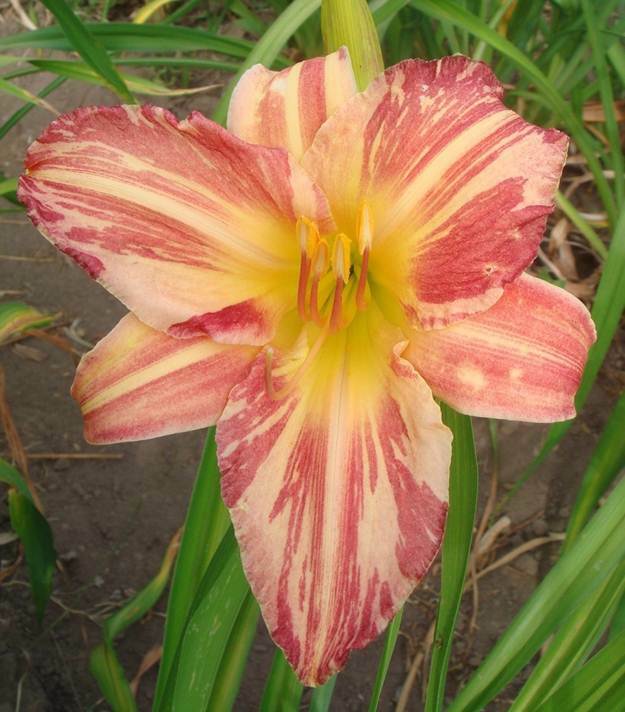 What could be more natural than to cross two of the best, Mike Derrow's Pink Stripes x Don Lovell's Peppermint Ice. The kids from this cross were all striped, some more than others and Cherry Stripes was not only the best of the lot but the best plant as well. What makes Cherry Stripes unique is that is has striped genetics coming from both sides of its parentage which should make it a powerful breeder for stripes. Cherry Stripes is so new and limited in quantity that I have yet to explore its breeding potential. The 6" rose pink flowers with variable white stripes show colour intermediate to either parent and are borne on scapes about 30" tall with 3 way branching (1 long, low lateral with a top V pair of branches) and a budcount of 25. 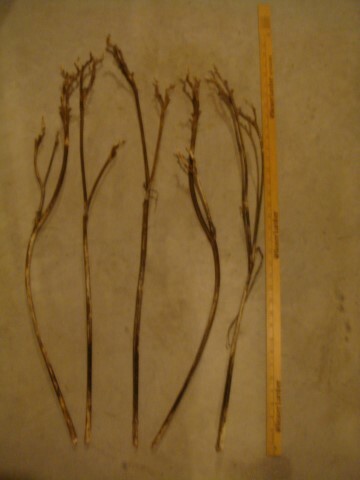 Diploid with semi-evergreen foliage. If you are interested in breeding for stripes, you need Cherry Stripes! Registered late in 2013 and introduced in 2014. (Pink Stripes x Peppermint Ice). Price $100 SF limited supply.